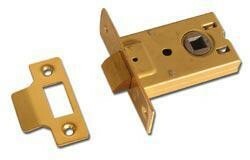 Asec Box Latch replacement for the Gibbons latch; Case size 64mm and 76mm. Follower 8mm (two way action); Forend nickel plated finish; latch bolt is withdrawn by lever handle from either side. Asec Box Latch replacement for the Gibbons latch; Case size 64mm and 76mm. Follower 8mm (two way action); forend nickel plated finish; latchbolt is withdrawn by lever handle from either side.